Our FIRST public art exhibit will be on display April 2015, at the Fountain Arts Center, Belmont, NY. Survivors, Artists, Advocates, Wellness Counselors and Employers/Employees with staff development goals regarding the importance of Reasonable Accommodations in the workplace are invited to attend. in The Corrado Room Beginning at 1pm with a break to view the exhibit. 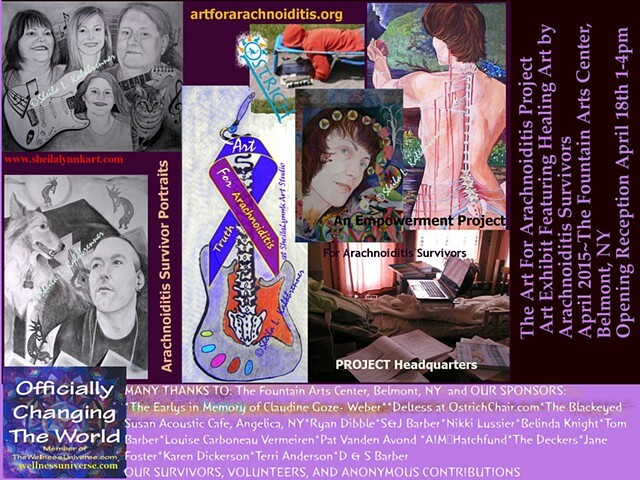 Survivors Planning to attend the Exhibit & Opening Reception and/or presentation please contact the studio let us know any accessibilities concerns and/or accommodations you may require.